he football team well before his wallet. “Last year he bought us shoulder pads–11 sets, more than we asked for,” said Athletic Director Gary Westberry. “A good set is $500. He is always stepping up for us. 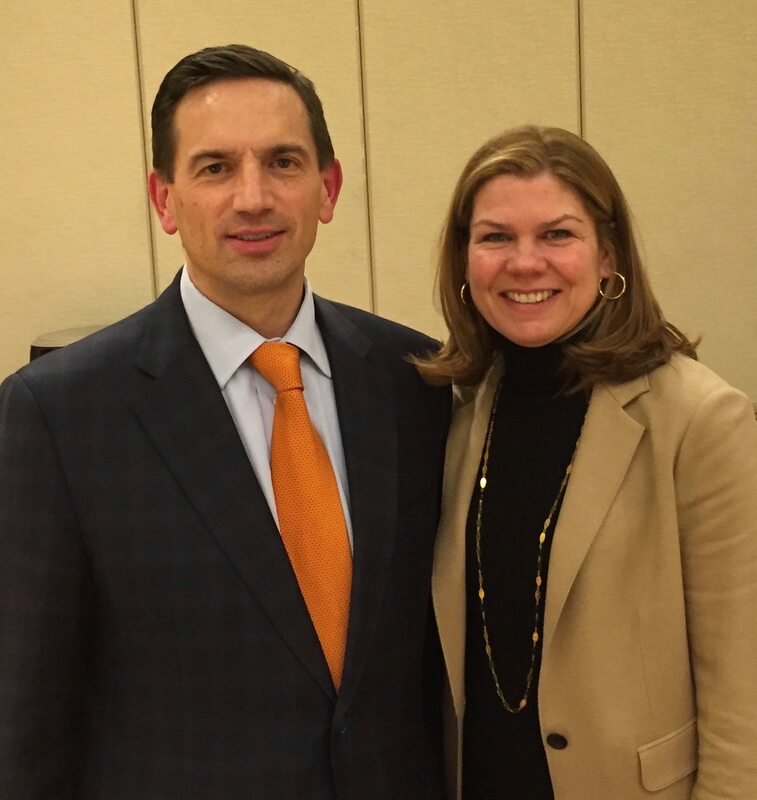 To Harvey ’86, the President and Chief Investment Officer at Cohen & Steers, the Princeton motto “in the nation’s service and service to humanity” is a dedication to Weequahic, which, essentially, is service to the inner city. The needs there–economic development, police protection–go far deeper than winning football at a once–and-again proud high school that gave the nation comedian-humanitarian Jerry Lewis, Pulitzer Prize winning author Philip Roth and others. But the essential first step towards extended progress for Newark is a heartfelt demonstration to the children of its meanest streets that somebody cares about them. Thus, the post-season banquet that Harvey, an investment guy, pays for every year at the Newark Airport Marriott is exactly that: An investment, not an extravagance. 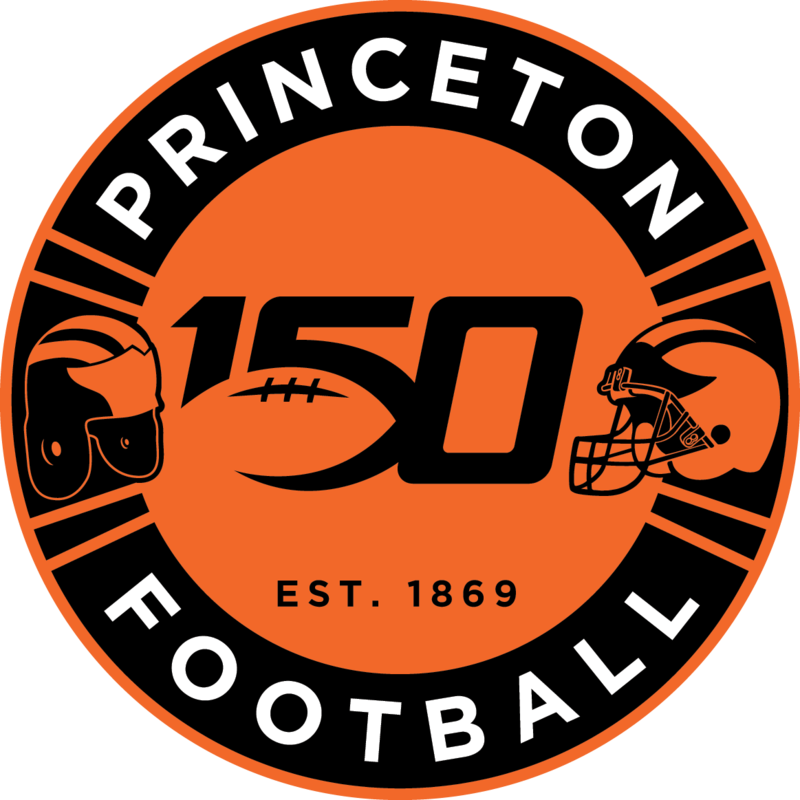 Fifteen years ago, Jim Petrucci ’86, Harvey’s Princeton football teammate and CEO-founder of the J.G. Petrucci Company, Inc., a Union, NJ based real estate development and design firm; wanted the Irvington High School players he was benefiting to have a classier season-ending celebration than a covered dish dinner in the school cafeteria. Harvey, being, in his words, a fast follower, gave into Petrucci’s urging to similarly sponsor a school in Newark. A chemical engineering major whose recommendation by Petrucci, got Harvey into finance, he has had an impressive climb in that world, but no rise anything like he has gotten from his 11 years helping Weequahic. “These football players and cheerleaders don’t get a lot of chances to celebrate,” said Harvey on banquet night. “And they have dedicated themselves to something that should be celebrated. “A lot don’t have a chance to come to a hotel like this. This is pretty special. More kids than ever this year are dressed up in bowties, ties, and suit jackets. When their names are called and they each get a trophy, they are smiling ear to ear. These kids leave here tonight feeling good about what they have achieved, which leads to greater performance in school. “Nothing is better than setting a goal, fulfilling it, and being recognized for it. Just like with me in my life or anybody in theirs, exposure to something new maybe opens a door. And that is the great satisfaction to me. This year’s team was crushed in the title game, 35-0, by Malcolm X. Shabazz High, a team Weequahic had lost to by only 7-0 earlier this year. But there is a more important score to be kept than Weequahic’s nine wins and three losses in 2017. The NY Giants sent Jonathan Casillas and Vernon Oliver to this year’s banquet to reinforce the precious sense of community these young men get from football is a means to a better life. “A guy from Jersey City like myself knows what Newark is all about,” Casillas told his audience. “Just because you are (academically) eligible for sports, that is not going to cut it. That’s the bare minimum. Rough as it has been for this year’s Giants, a lot of them don’t know the half of truly hard times. In 2001, Weequahic (pronounced WEEquage) was a place of gang wars, pathetic standardized test scores, and morale so low that a street smart new principal, the late Ron Stone, decided his best way to connect was to take $40,000 out of the athletic budge to create a weight room. As he hoped, it built more than bodies; pride and confidence too. The least of the school’s chronic problems was its losing football program. But Alterik White, a former star running back at Weequahic and an assistant coach at Shabazz, came to his alma mater vowing a winner and delivered a championship in 2006. By then, crowds as low as 20 at the games had grown to 4000. But still pending in this great success story is a happily-ever-after for the school. With an explosion of charter schools taking a share of the public school pie and Weequahic’s enrollment subsequently shrinking, the school was marked for closing in 2016 until it was saved by a change in administration. Weequahic, down to barely over 300 students over four grades from 1000, didn’t take freshmen for three years in anticipation of the shuttering, which is how you wind up with four seniors to 34 for Shabazz and lose 35-0. But for now at least, the alums and the people fighting for Weequahic’s survival have won, with athletics enjoying the full support of an old defensive back, Andre Hollis, who is the new principal. “I grew up in a family that was in public assistance,” said Hollis. “I was the borderline student in high school, one foot in the streets, the other in college. “The needle could have gone anywhere for me. Sports were my getaway, my safe haven. My discipline came from my sports family, not my own family. Sports provided teamwork to know that I was not alone in my circumstance. Hollis’s story mirrors that of Coach Logan’s. “I didn’t have any college role models from my immediate family,” he said. “I would never have known anything about it. College wasn’t preached to me in high school as the only way out. Logan has produced two champions and a 75 per cent winning percentage in seven years at Weequahic. Nothing succeeds like that level of success in enticing freshmen who have a multitude of choices within the Newark school system. But, as a Newark cop for 26 years until retiring January 1, Logan is an expert on things relevant to these kids besides football. One of the many essentially parentless kids he has taken into his home for a night, a week, or even until they finish high school, Ihmir Smith-Marsette, is a freshman at the University of Iowa, where he joined another Weequahic alum, Akrum Wadley, the Hawkeyes leader in rushing and touchdowns in 2017. Senior running back Robert Leverette is headed for Iowa, too, more first-hand evidence that the bigger world out there that Harvey and Logan tell the Indians about actually exists. The coach gazed about the banquet room at a Christmas gift that will keep on giving. “This is first class, the next level,” he said. “The Marriott; that says it all. We’re sending our seniors out in style, with dignity, their heads up. With his glance around at the joy in the room, Harvey argued he gets back more than he puts in. “You are here tonight, you see this,” he said. The kid is preaching to the choir: Janet. With the Harvey’s own two kids having reached college age, she has increasing time and plenty of enthusiasm to help her work-stressed husband with the banquet planning and equipment purchases. How does one put a price on turning even one life around? To do that, Harvey has pushed Weequahic’s participation in the AthLive Foundation, a seven-year old initiative to deliver grant funding, training and resources to create an adult mentoring position called an Academic Life Coach. Harvey is dedicating that effort to Hank Towns, Princeton’s retired long time equipment manager. Every year, in addition to a big celebratory meal for about 200 players, cheerleaders and parents, Harvey gifts each player and cheerleader a book. This year’s selection was Harper Lee’s classic To Kill a Mockingbird. “It is about civil rights, race, character, the loss of innocence, society and all its dynamics, relevant to today and what we can do to make our communities better,” said Harvey. Truth is, even independently wealthy altruists have a need for community. There is always space for one more, too. This year’s banquet keynote speaker, Leon Baptiste, Weequahic ’83 and founder and CEO of LB Electric, was so impressed he pledged to the assemblage to pick up half the tab next year. “Someone would suggest there is not a lot of parental support for these kids and that is partly true,” said Harvey. “But look at the number of (volunteer) coaches these kids have, look at the father’s club and alumni association and the number of persons at the games. “Budget cuts are not unique to Weequahic. But then neither is community support. There are a lot of people who help develop these kids. If we can help out in little ways, that’s great. “There are no shortages of inner city schools where people from the Princeton football community can get involved. It’s pretty easy to do. And a way to use football to make a difference.